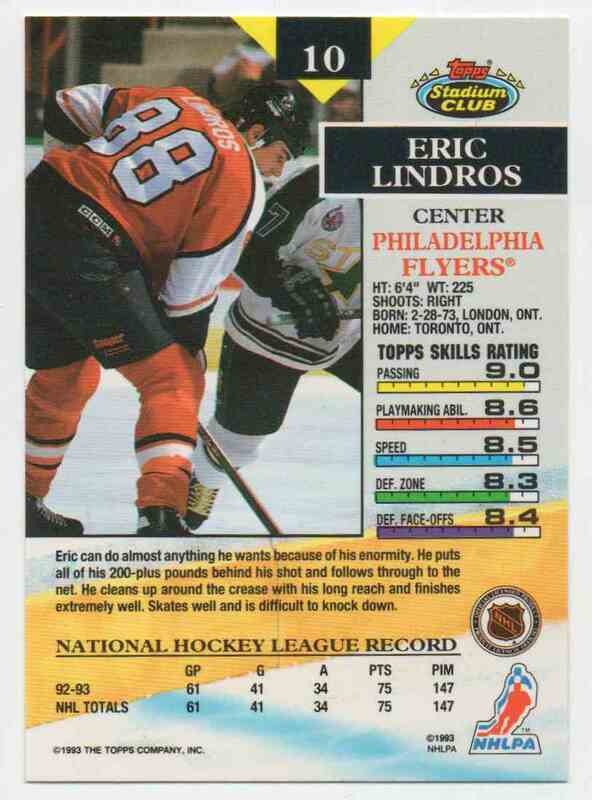 This is a Hockey trading card of Eric Lindros, Philadelphia Flyers. 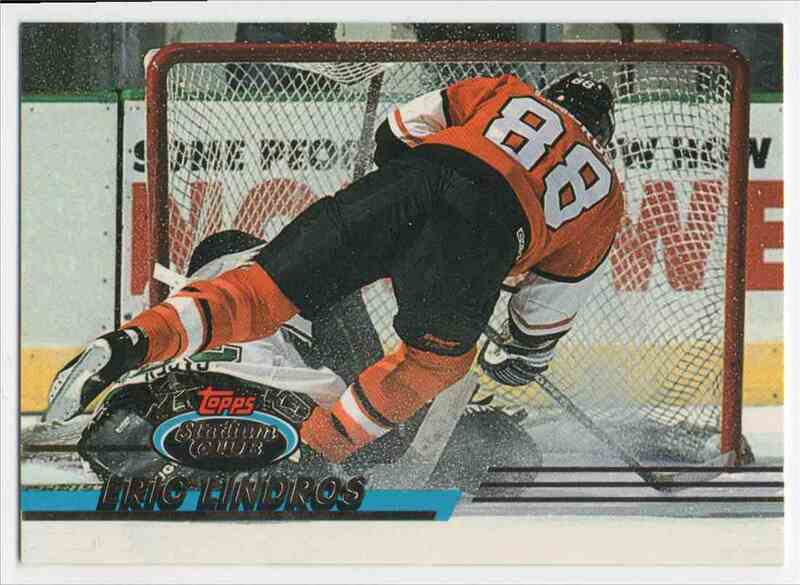 It comes from the 1993-94 Stadium Club set, card number 10. It is for sale at a price of $ 1.00. Thank you for taking the time to browse my store. Thank you for your purchase.